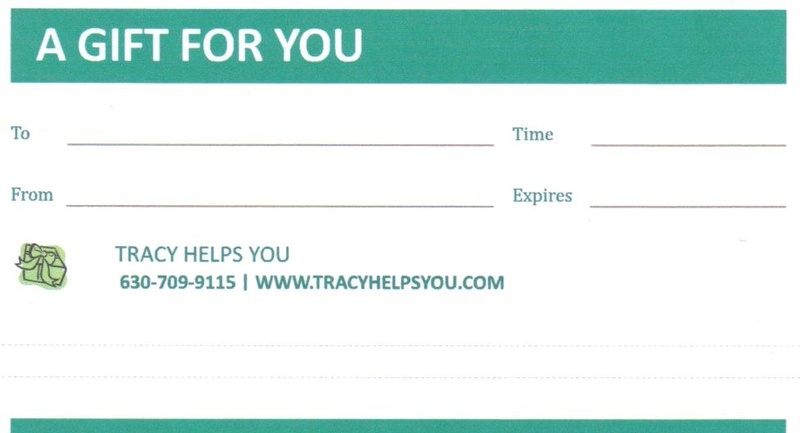 Give the gift of time this year … give a Tracy Helps You Gift Certificate! 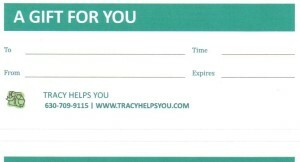 FYI … Tracy Helps You is offering 10% discount off any Gift Certificate purchased from Black Friday through Cyber Monday !! 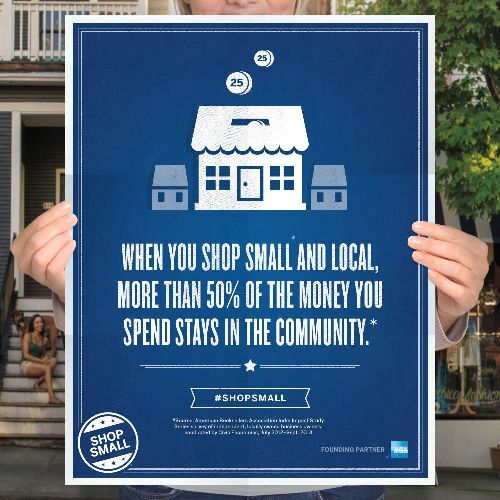 Just call me at 630-709-9115 to order your Gift Certificate and I’ll deliver it to you (only locally, of course). Giving the services of a Personal Assistant is like giving the gift of time.